Which plugins do you need? To find your theme, press ctrl + F on your keyboard. then type the name of your theme into the search box. We’re only dealing with themes designed by StudioPress. Not third party themes. Genesis Latest Tweets has been adopted by new owners and is currently being re-coded. This is a nice looking plugin but it hasn’t been updated for over two years. I recommend you use an alternative. Important Note! Since I made this list StudioPress have added Portfolio items to the demo content in many of their themes. If you would like a portfolio section in your demo site or your live web site, I recommend you install the Genesis Portfolio Pro plugin. Please note! This theme’s demo content includes a WooCommerce shop. And the demo content uses a premium membership plugin. This is an expensive plugin and you are unlikely to have it. You can set up your demo site using the Infinity Pro demo content including the WooCommerce content if you wish. However, if you don’t need a WooCommerce site I would recommend just using the widget import file. Don’t use the Infinity Pro demo content. Make your own demo pages and posts. Instagram Image Gallery. This plugin was last updated 2 years ago. The Beautiful Pro demo site appears to be using Instagram Image Gallery plugin weather you choose to use such an outdated plugin is up to you. 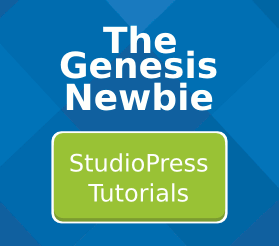 The instructions for Centric Pro include Genesis Latest Tweets plugin. But the plugin was last updated 6 months ago and is not used in the Centric Pro demo site. Genesis Latest Tweets plugin is currently being re-coded by WP Valet. The jQuery Lightbox For Native Galleries plugin is now retired. The plugin author recommends using the Carousel module of Jetpack as a replacement. The instructions for eleven40 Pro include Genesis Latest Tweets plugin. But the plugin was last updated 6 months ago and is not used in the eleven40 Pro demo site. Genesis Latest Tweets plugin is currently being re-coded by WP Valet. Simple sidebars is used in the WorkStation Pro instructions. You might or might not need it in your site.